What are world’s most expensive handbags right now? Mouawad 1001 Nights Diamond Purse with price of $3.8 million top the list. Following by Hermes Birkin Blue Bag by Ginza Tanaka of $1.9 million. So on, here’s a quick look at the list of top 10 world’s most expensive handbags of 2018. Handbags are the most favorite accessory of every woman. You surely will agree that no matter how many handbags you already have you will never mind adding a few more. Perhaps you must have spent up to a few hundred dollars to add a good looking branded bag to your collection but do you know there are bags worth thousands and millions as well. You will not likely spend as much on a handbag but there certainly is no harm learning about these 10 most expensive handbags in the world. This elegant handbag, a creation of Marc Jacobs, is made using exotic crocodile leather and has a segmented leather inside and exterior. It comes with extra pockets and separators that will make it easy for you to organize your belongings in it. If you are ready to spend thousands on a bag, if such is your craze, then this bag does make a good pick. 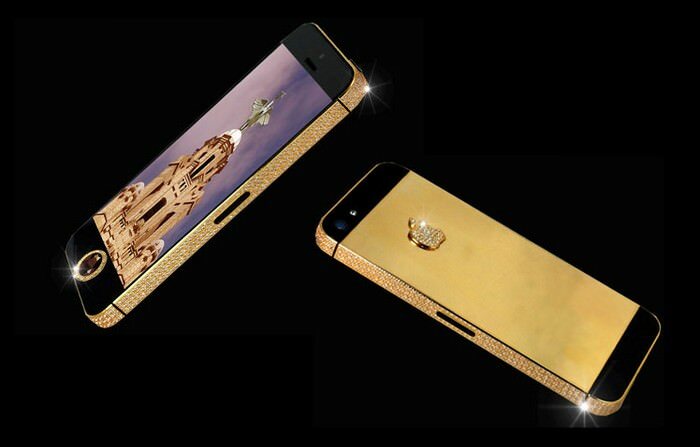 You may like to see world’s most expensive smartphone list also. This bag has been created using tough yet supple crocodile leather but what makes it so pricey and worth an investment is the fact that it has been designed by none other than Hilde Palladino, one of the most popular fashion figures of Norway. The Gadino bag has white gold clasps and 39 good quality white diamonds that make it look all the more attractive and also worth the price. Louis Vuitton is a very popular name in the fashion world but this bag is different and only takes it a level higher. This tribute patchwork bag has a radical look that hardly any high-end designers produce and this is what makes it all the more different and worth the attention. This design combines many handbags together. Just 20 of them have ever been created and Beyonce Knowles has one of them. The Lieber rose bag has been created in a way to look like a rose when in its full bloom. This famous purse has been made using top quality materials, from its sling to its metal clasp and the leather. But what makes it so pricey is the fact that it is covered completely in precious stones. It has 1,196 pink sapphires, 800 tourmalines, and 1,016 diamonds to be precise. See also; most expensive diamonds. This is yet another strangely designed bag by Louis Vuitton. It is actually made of trash (if Louis Vuitton fans will not mind it being called this way). The bag has been made using items like cigarette packs, chewing gum wrappers, and water bottles and looks like it has been created of items right out of a garbage can, yet it is worth a whopping $150,000, perhaps because it is ‘different’. Nothing ever can beat the classic and this is what this handbag stands for. It is made using fine leather and has 334 diamonds, totaling to 3.65 carats. 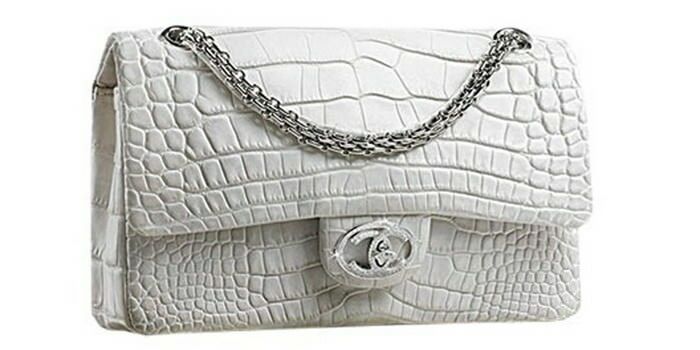 The shoulder straps of this bag are made from white gold, and all this is available for a price of $261,000. Just 13 of these have ever been created and 5 of them are in the US. This bag has been made in honor of Jane Birkin, an actress, and singer. 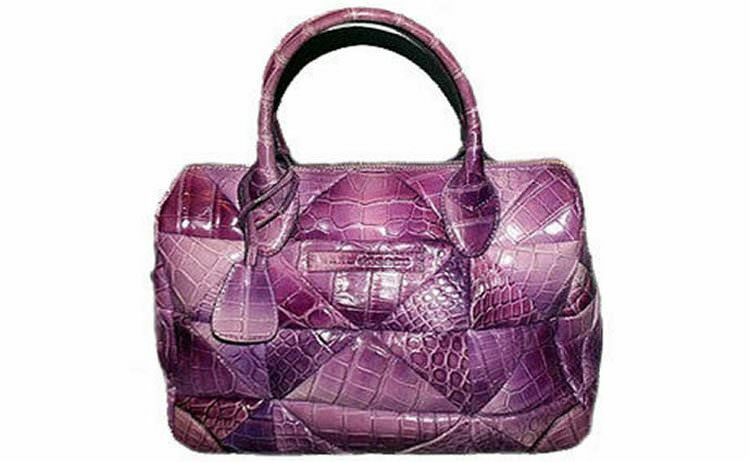 It is made of top quality crocodile leather and has clasps that are decorated with beautiful 10-carat white diamonds. This bag looks stunning, and if you can own one you certainly will feel like on top of the world. However, if you cannot afford one, do not lose heart, as Hermes created a low-priced version for just $5,000. This amount also is a huge sum for most people, but if you can afford it, you must. This costly handbag is a favorite amongst celebrities walking the red carpet. Generally, just a single Cleopatra bag is created every year and every bag looks different in terms of color and design. Until now, Li Bingbing, a Chinese singer, and actress owns the costliest Cleopatra clutch, with stylists and Lina Marks especially creating the American alligator leather which has 1,600 diamonds of 40 karats to match her beautiful gown. Pink gold and pink diamonds were also used to help write Li Bingbing’s name. Hermes planned to make a Birkin bag with Ginza Tanaka, the famous Japanese designer, and what they together created is nothing less than breathtaking. The bag is created using platinum, which anyway is a very costly material, and it also has 2000 diamonds that you can see shining in the outer shell. Furthermore, the bag has a diamond sling that you can remove and use as a necklace or bracelet. A pear-shaped stone of 8 karats, a centerpiece diamond, sits right at the front and you can remove it and wear it like a brooch. This bag is made of expensive platinum and diamonds and serves so many purposes. Also, the second most expensive handbags of 2018. The Mouawad bag is the costliest handbag ever and has been certified by none other than the Guinness Book of World Records. This anyway is something that can be expected of the Emirati Luxury goods company, which has already created some of the costliest items ever and has bagged 5 Guinness World Records. It took 10 professionals and a total of 8,800 hours to finish making this exquisite piece. The heart shape handbag has been created using 18k gold but what makes it so expensive is the presence of so many diamonds. In total, it has 4,517 diamonds, 4,356 of them are colorless diamonds, 56 pink diamonds, and 105 yellow diamonds. Does it not make you awestruck learning about the existence of such beautiful handbags? It is true that they are very expensive and all of them are out of reach of the ordinary, nonetheless, they are beautiful, stunning, and unique. But, do you know why people purchasing these most expensive handbags. What is the psychology behind purchasing costliest handbags?